HCM CITY (VNS) — Travel experts from Japan have said that more discount programmes could help stem the slight decline in the number of Japanese tourists to the city. Tadashi Yamaguchi from the Japan Association of Travel Agents (JATA) said at a workshop held last Friday in the city that the tourism products on offer were often uninteresting. "The city's tourism sector needs to carry out various stimulation and discount programmes as well as cooperate with other localities to diversify products," he said. He said that HCM City could create more tourism products by working with Cai Be, My Tho, Phan Thiet, Phu Quoc, Con Dao and central localities. The HCM City-Siem Reap tour, the most popular tour for Japanese tourists, has seen a fall in the number of bookings. 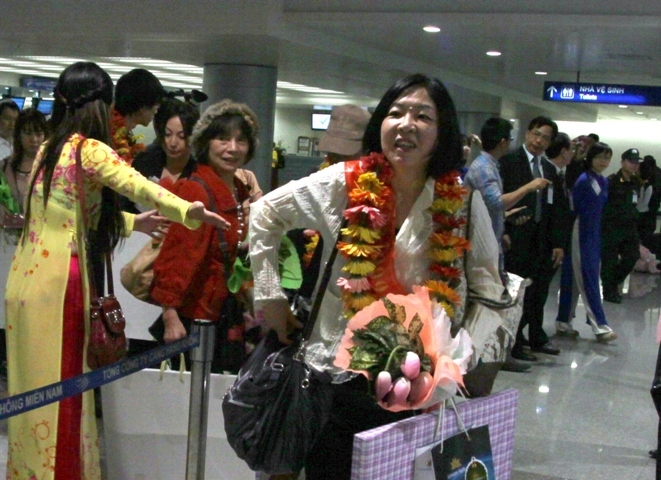 Viet Nam welcomed nearly 500,000 Japanese tourists in the first eight months of the year, a year-on-year increase of 5.6 per cent, according to Le Tuan Anh, deputy director of Viet Nam National Administration of Tourism's Tourism Marketing Department. The workshop was part of the 10th International Travel Expo HCM City that closed last Saturday.